Even though I'm in the wedding industry, there are a lot of things about getting married that I didn't know. I have found this magazine great for ideas from the big stuff down to the very smallest detail. As with all Bridal magazines, this one is FULL of ads which can get a little bit old. But, aside from Martha Stewart Weddings, it seems to have the most variety from edition to edition. Definitely worth the subscription as opposed to Modern Bride. I enjoyed every moment of planning our big day. This magazine was packed full of good ideas and inspirational photos. It was always a joy to find the magazine in my mailbox. Brides has many checklists/timelines to keep you on track in planning your big day. There are many ideas for any budget. Enjoy planning! 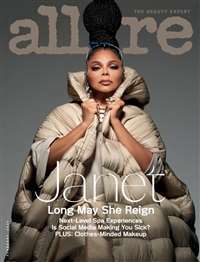 I love this magazine! It's a great resource for those of you who are wedding planners. Love the magazine and the price! Lots of gown pics featured that get you to think outside the box. My fiance and I are thinking of going for a 20s themed wedding due to the different styles of gowns and tux's. I was stressin about palnning but with the help of the websites recommended and the magazine its kinda fun. Thanks Brides! I found this magazine to offer great ideas and show some great dresses and decorations. 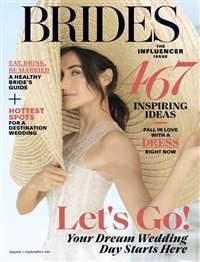 I really enjoy getting this magazine and would recommend it to any woman who is planning her wedding and looking for ideas! This is a good picture book. If you are only interested in looking at advertisements, this book is for you. If you want to read any articles, look elsewere. This magazine is mostly only good for looking at ad's. It is pretty much all ads, that we ALL pay for. Some of the articles are ok, but really you don't read anything in here that you can't on The Knot or any other forum. Don't waste your money.